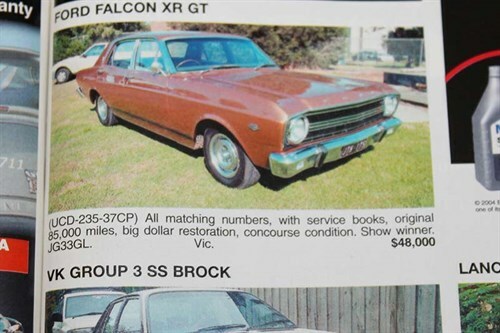 Happy Half Century to the car that changed Australian motoring forever. Before April 1967 we had built performance cars based on production models but there had never been a purpose-built, V8-powered performance car like the XR GT. Only 596 were made and they won the Bathurst 500 at their only attempt. XRs then sat pretty much in the shadows until 2004-05 when serious bucks became available for outstanding GTs. Today the stampede is on again; six-digit values commonplace for restored or original cars with correct components. This doesn’t look bad at all for a car about to enter its 50th year and remarkable now that it is approaching 80. 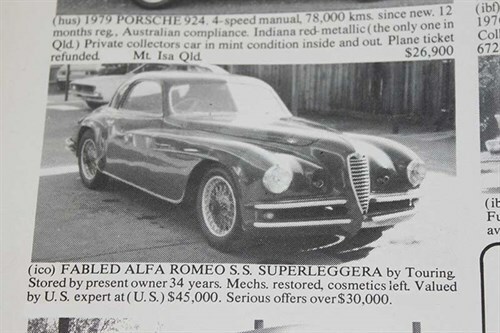 Alfa’s 2500 6C (six cylinder) had since the 1920s typified sports car desirability but by 1939 when the Superleggera coupe appeared it was in need of a revamp. Despite World War II intervening, 413 cars in this body style were made, including this 1947 version. It or one very similar with Australian history was offered for sale in Britain a few years back and the winning bid was said to be a heady US$245,000. Where it is now remains unclear. Back in the 1960s people were making jokes about Japanese car names and treating them as a fad that wouldn’t last. Wrong. 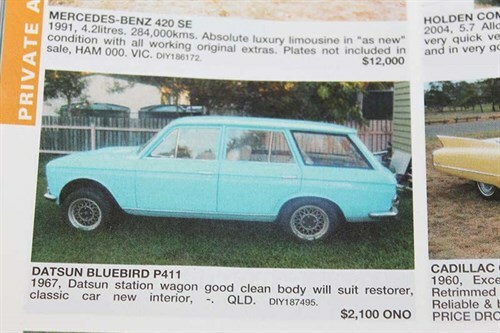 Anyone who bought a Bluebird with its almost lavish interior and peppy 1.3-litre engine would have owned a fine little family wagon and paid not a lot of money. Sadly not much resale value either. With the exception of Toyota Coronas that hung around for decades and Datsun 1600s that were reborn as rally cars, older Japanese models were by 2009 very scarce. This 1967 version looks tatty but sound and hopefully it survived.